The Saga Board holds a sleeved Character card, its Character and Upgrade dice, and up to ten Damage, Shield, and Power Saga Tokens. 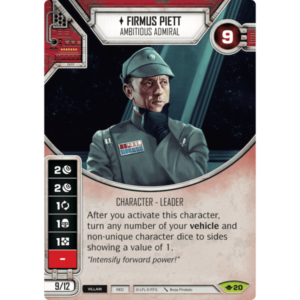 We designed them in order to keep the focus of our games on the incredible characters in this universe while also dramatically reducing the clutter and confusion that results from dice and tokens being moved about. Saga Boards are built to be used with our Saga Tokens, and the two should ideally be paired together. Check the video below to see the entire system in action – but be warned, there is no going back. Perfectly compatible with Star Wars: Destiny. 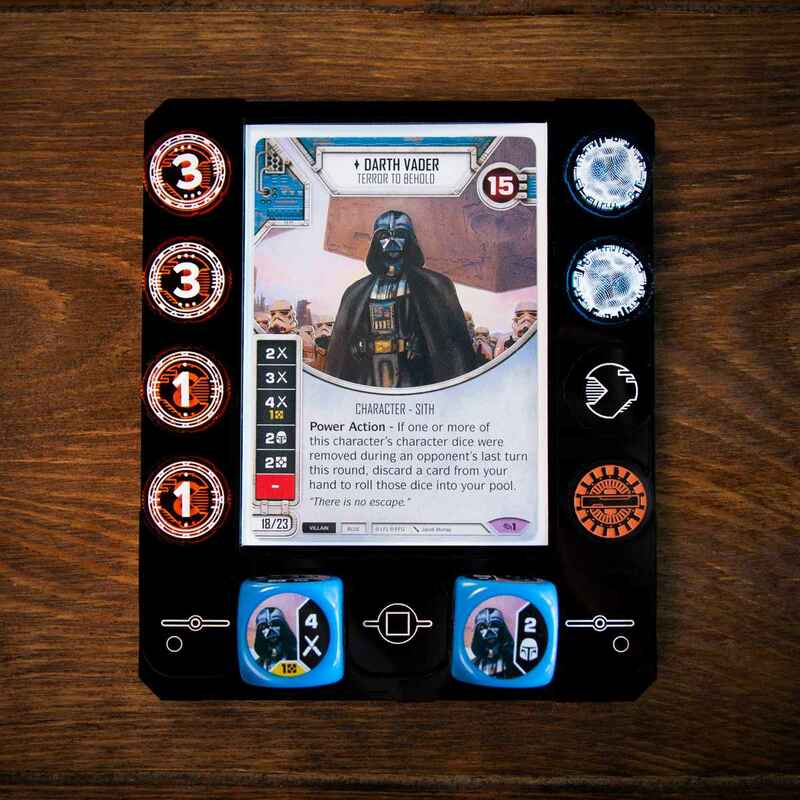 Saga Boards were created to solve the problem of tokens and dice cluttering up the all-important character cards during a game of Star Wars: Destiny. 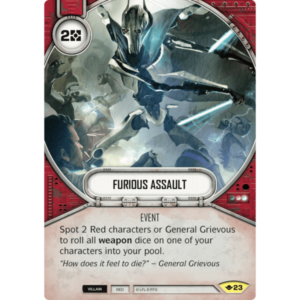 This can be confusing, especially for newer players, as text gets hidden and dice accidentally get bumped between the active and inactive pool. Additionally, any experience in the Star Wars universe must be as immersive as possible – with every moment focused on the epic characters and the conflicts between them. They perfectly answer these functional and thematic challenges, especially when paired with our newly-redesigned Saga Tokens. 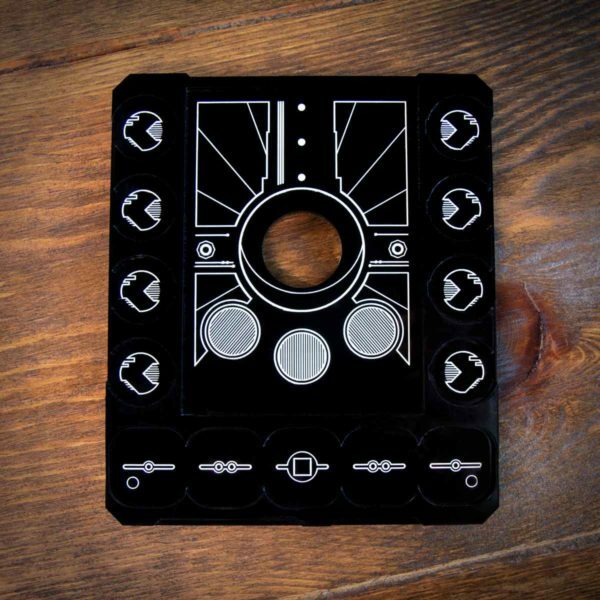 Each Saga Board perfectly fits a sleeved Star Wars: Destiny Character card (we tested with both Ultra Pro and Dragon Shield), with 10 surrounding slots that are specially designed to fit Saga Token Shield, Damage, and Power tokens. 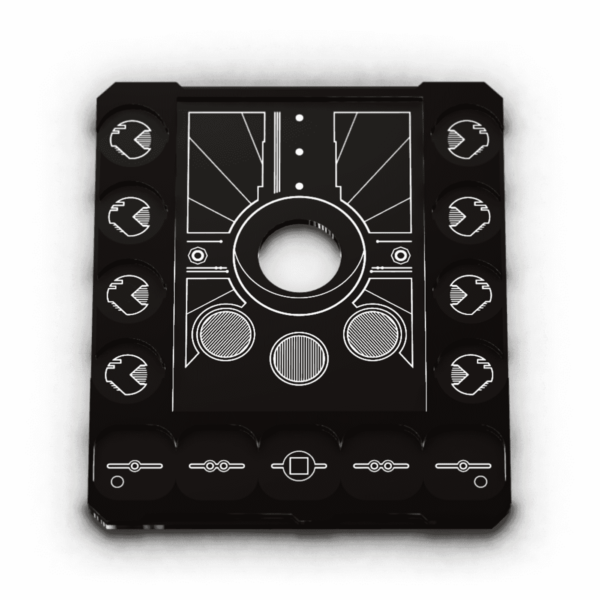 Each of those tokens can be easily flipped via the outward opening of each slot. 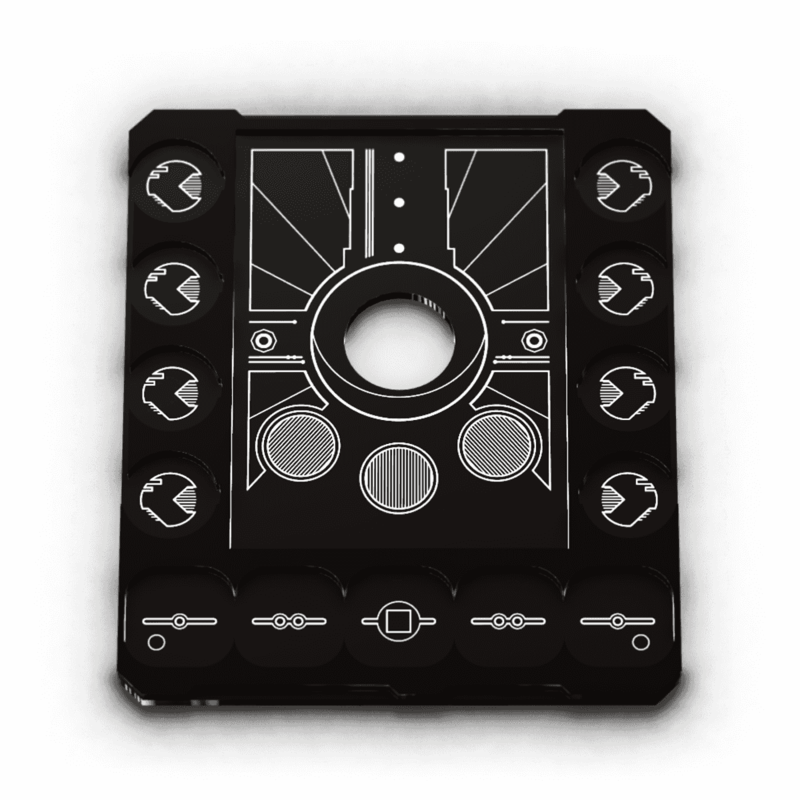 Each Saga Board also has five slots for Character and Upgrade dice, so they can be rolled in and resolved without being scattered on top of their corresponding cards. They are composed of two layers of engraved opaque black acrylic, paint-filled, and backed with felt. The appearance of your Saga Board may vary ever so slightly from the renderings and images shown here due to color variations in displays, cameras, and acrylic. 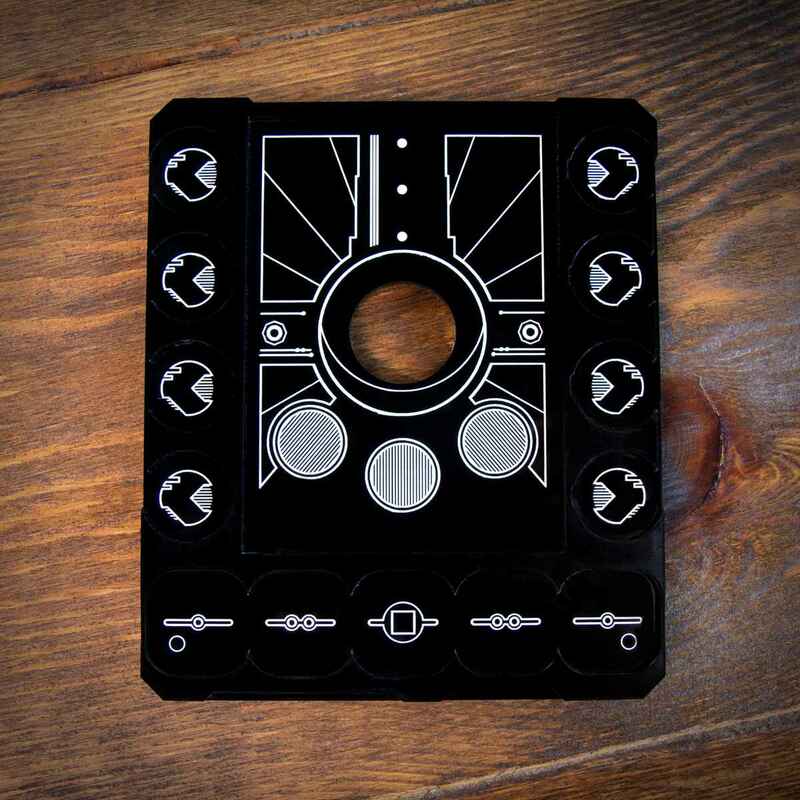 Saga Boards are third-party accessories produced and sold exclusively by us, Team Covenant. 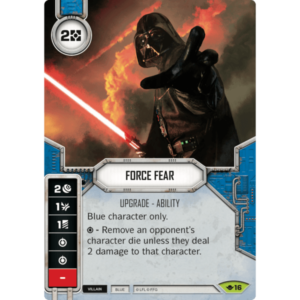 Though compatible with Star Wars: Destiny, they are not associated with or officially endorsed by Fantasy Flight Games or any other entity.